Find equivalent food products from your home, anywhere. An app to discover and compare food from anywhere. Browse food categories, grocery stores, food brands and compare it all to other countries. Desktop, Tablet and Mobile screens. UI Animations, visual guidelines, design components and documentation. Experience demonstrated when swiping up the cover for dish details. Displaying title, estimated cooking time, favorite function, description, step by step instructions and lastly all ingredients needed in a correlation carousel. Displaying dishes from different countries in order to get inspired and start correlate its ingredients to make it your own in any country. Here we are diving more into exploring food dishes from countries, its cooking times and preparations. Next up will probably be some sort of ingredients interface to quickly find the products you need to create the dish in any of the countries you’re in. Correlation interface and animation for tablet and everything above mobile. Explaining the core concept of this Foodiscover project. To find and list products from your country and correlate them to find similar products in any other country. This animation says it all! Explaining the core concept of this Foodiscover project. To find and list products from your country and correlate them to find similar products in any other country. Here’s a first iteration for the product view on mobile. Here you should get all the information you need about a specific product and take action to add it to a list for later comparison/correlation. Browsing food directories on mobile, fading in new items with scroll with browse filters on top. 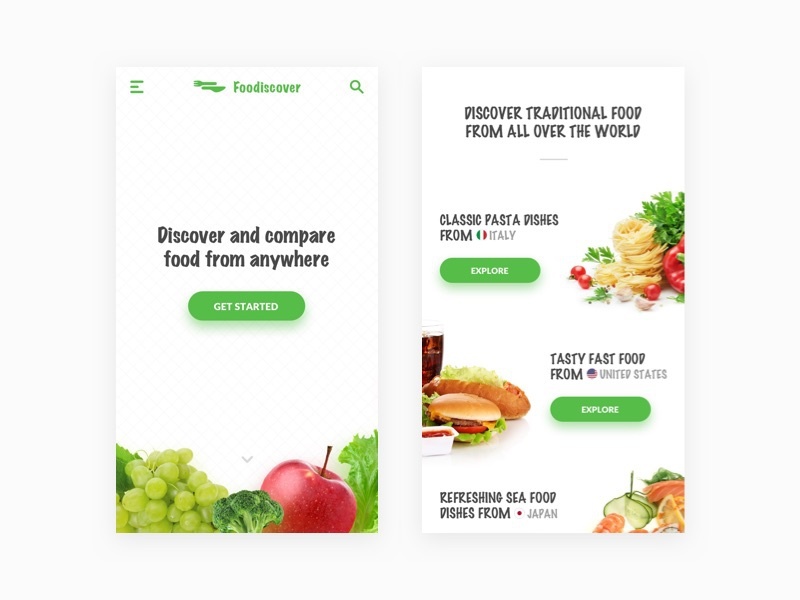 Mobile landing page with fullscreen intro followed by pushes for discovering traditional food from all over the world. Displaying what products you will have to buy in each store and country to make it correlate to the original traditional dishes. 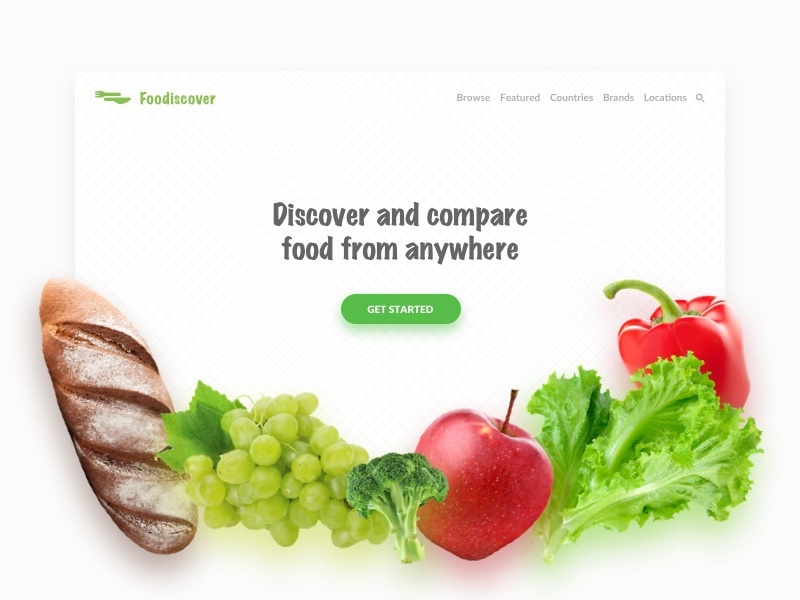 Landing page for Foodiscover, to discover and compare food from anywhere. Browse food categories, grocery stores, food brands and compare it all to other countries. Also, find the food products you need to buy in an foreign grocery stores in order to create classic dishes from other countries. Since moving to the US, it was difficult to adjust to the food habits here and how I could relate to products back in Sweden. 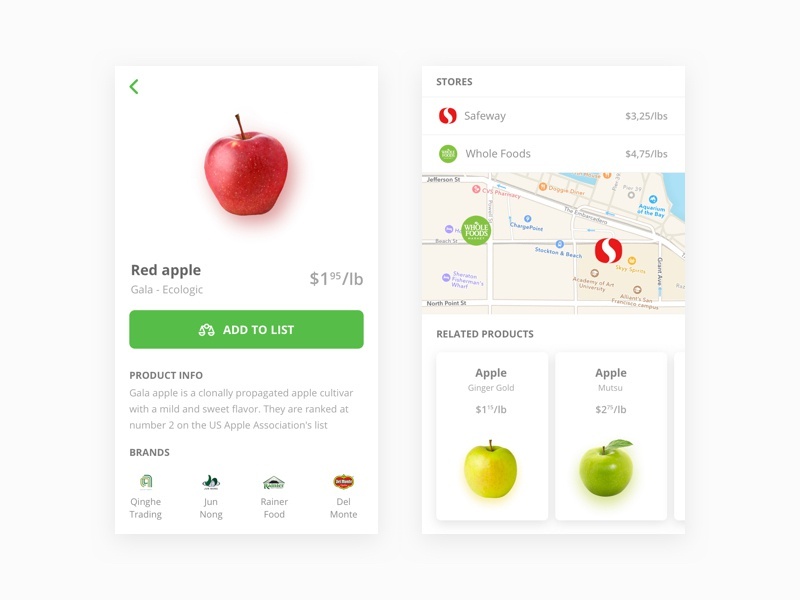 This is a category exploration of a grocery/food app. Some further ideas is to add functions to compare food across countries for better guidance when going abroad.